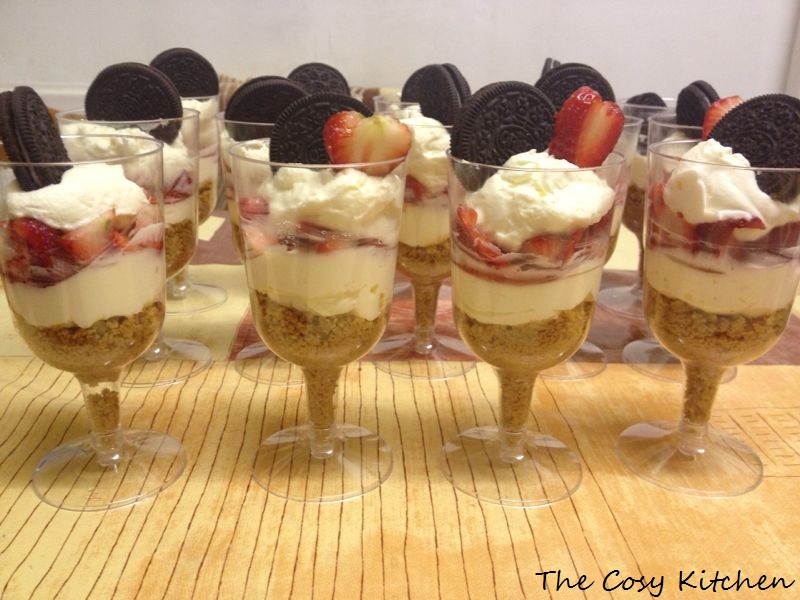 My friend Fay made the most delicious Strawberry & Oreo Vanilla Cheesecake glasses for her dinner party. These are so quick and easy to whip up when you have friends and family over, so you can spend little time in the kitchen over the oven and more time having fun! 1. Crush digestive biscuits and mix in a bowl with melted butter and a squirt of honey. 2. Fill the bottom of the glass with mixture and press down gently. Leave in fridge to shill for 2 hours. 3. For the filling mix cream cheese, vanilla essence and caster sugar and whisk lightly. 4. Spoon and smooth mixture on top of the biscuit base and leave to chill for 2 hours. 5. 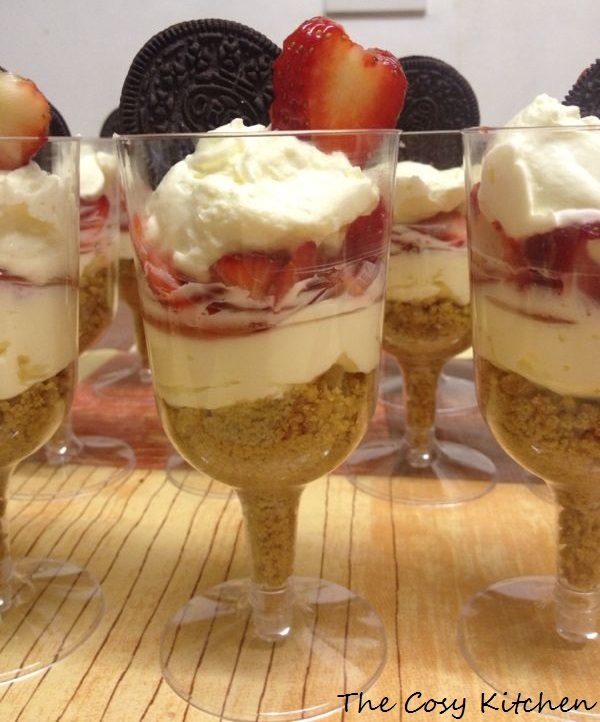 Serve with sliced strawberries and top with fresh whipped cream, an Oreo cookie and a strawberry heart. Okay, that’s it. I’m going to have to stop reading blogs with dessert recipes . . . or start exercising more! oh they looks so attractive too for a dinner party! Thank you! They were rather pretty, my friend is very handy with making things look good! Thank you! 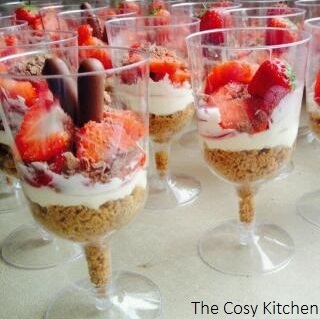 Make sure you do, best dinner party dessert! Wow, what a fancy looking dessert! I love that combination! Thank you! I looks great and is so so easy to make!